The spread of the Cathars so worried the Catholic Church that there was even a crusade against them, the Albigensian Crusade (1209-1229), called into being by Pope Innocent III – in this terrible context a papal name beyond all satire. A 'classic' Middle-Eastern Crusade was an opportunity for murder, mayhem, plunder and territorial acquisition in the pursuit of salvation. In the case of the Cathars, fastidious minds were indeed troubled by the fact that, on this crusade, the plunder and territorial acquisition would slash a sword through the fine web of feudal rights in the region. But ultimately the prospect of 'liberating' the rich territories of south-west France for the Capet king in Paris – greed, that universal balm! – and even gaining indulgences for doing so, soothed all concerns. The crusade became a war of territorial conquest with religious benefits. Although the cenobites of the Cathars themselves led lives of ascetic denial, their church was rich. Unlike the Catholic Church, the Cathars levied no church taxes, but their congregations, seeing these ascetic paragons and comparing them with their Catholic counterparts, were generous with donations and bequests – a sort of medieval Laffer curve. Let's not be too soft about this, though: the Cathars could also be quite ruthless in extracting at sword point supplies for their community during hard times. They were still part of an aristocratic, armed feudal order, not just some hippy commune. The whole region of the Languedoc was astonishingly rich. This age falls in the middle of what we we now call the 'Medieval Warm Period'. The region was almost an earthly paradise: olives, wine, fruit and livestock in abundance, fish in the extensive river system and, of course, the nearby Mediterranean. The area famously supported a high, courtly culture – it was the time of the troubadours – with easy trade and cultural access to the Mediterranean, Spain and Italy. The kingdom of the north was lusting to get its hands on these riches and Pope Innocent's crusade against the Cathars was clearly the way to do it. The crusade's most infamous leader was Simon de Montfort (5th Earl of Leicester, c.1170-1218), a brilliant, extremely courageous and audacious commander. In battle he was able to seize his tactical opportunity even in the desperate situations where others, less self-possessed, would have called it a day and retreated. He was also a religious fanatic of the first order who appears to have taken personal pleasure in the massacres and burnings associated with doing his God's work. He died in combat whilst trying to retake Toulouse in 1218, when a rock from an opponent's catapult smashed his head to pieces. The crusaders were an army with varying numbers of nobles with armoured knights, soldiers and a horde of freebooters, the latter just robbers who would kill without compunction and lived from their plunder. They were not a standing army: typically, nobles would commit their serfs to a service in the army lasting 40 days – most could not be spared from their fields for longer than that at a time. Nor did they expect much medieval battling or armed opposition. For twenty years the crusade roamed around the region taking towns, castles and villages, destroying, looting and pillaging. The first major victim was Béziers (22 July 1209), where the Mayor had refused to hand over the Cathar cenobites. Setting the tone as a lesson for others it was plundered and the entire populace killed. 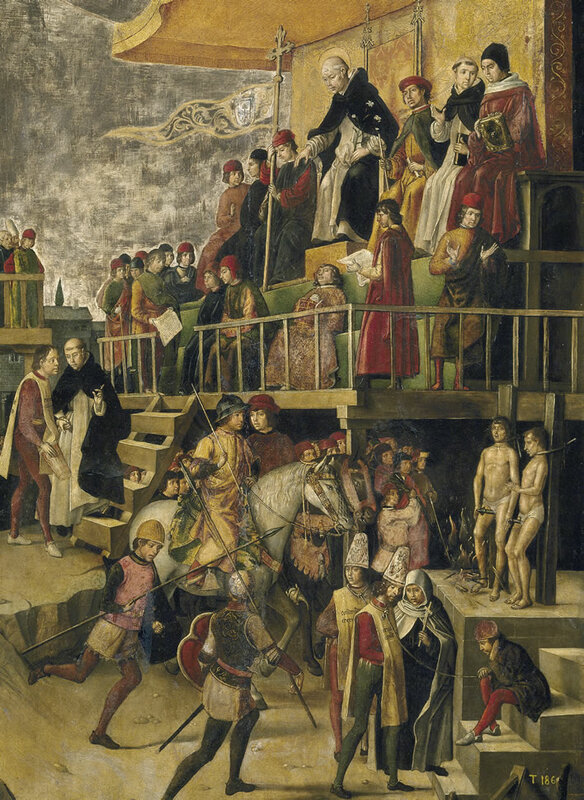 The report to Pope Innocent III said that 20,000 had been killed – a transparent exaggeration, but significant, in that the very fact of the exaggeration tells us that for Innocent, the more dead heretics, the better. The frightening lesson of Béziers was clear for the remainder of the region, causing many towns and villages in the path of the crusade to capitulate in advance. Pre-emptive capitulation did not necessarily spare them: plunder and murder was the order of the day when the army arrived. Many villages and towns were completely abandoned in advance and their occupants fled into the countryside, in which case the crusaders plundered them, taking everything and leaving only rubble behind. Vineyards were uprooted, farms, crops and animals taken or destroyed. Carcassonne followed Béziers on 1 August 1209. Many citizens had fled, but a hundred were expelled with nothing but an item of clothing each. They were lucky: 400 others were burned, hanged or put to the sword. In Minerve on 22 July 1210, 150 Cathars were burned on a pyre. In Lavaur on 3 May 1211, 400 Cathars went to the flames and 80 defenders were hung. The gallows collapsed and the conquerors finished the job by slitting their captives' throats. It is indicative of the true nature of the crusade that, during its forays around the region, many places were sacked and pillaged that had never seen a Cathar. Battles, sieges and revenge pillaging continued during the summer crusading seasons; the list is long. Toulouse fell and was plundered in 1216. In Marmande on 10 June 1219 about 5,000 people were killed. The numbers of the victims given here are the usual guesses, no one really knows. Despite the continued use of extreme brutality the crusade didn't kill as many Cathars as had been hoped. Indeed, perhaps out of revulsion at the barbarity of the crusade, the Cathar church had even expanded by the end of it. For this reason the more subtle processes of the Inquisition were used from 1229 onwards in combination with isolated military actions. The anti-Cathar inquisition in Languedoc lasted a century and occupied around 80 inquisitors. The Inquisition, which was invented to deal with the Cathars, involved interrogation, torture and a perverse quasi-judicial process. It became the model for all subsequent inquisitions. All the outrages in the 800 year life of that movement start here, under the guidance of the order founded shortly before the start of the crusade by Saint Dominic (Dominique de Guzmán c.1170-1221). The discussion of whether Dominic himself was a bloodthirsty doctrinal bigot or just an anti-heretical preacher whose name was misused by the bloodthirsty doctrinal bigots who followed him is otiose here. The fact is well established that the Dominican Order he founded became the frontline theological troops of the Inquisition. Some argue that the Dominicans themselves were happy to spread the legend of Dominic's unremitting ferocity against the Cathars. 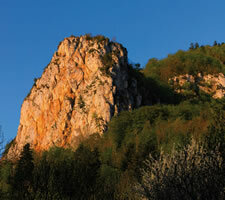 A particular highpoint – better: lowpoint – of the action against the Cathars came in 1243 with the siege of Montségur. The formal crusade had ended by then, but the more subtle winkling out of heresy wherever it occurred continued. On the papal throne by this time there was another innocent, Pope Innocent IV. All this papal innocence can be quite tiresome.